1) NSO can be overwhelming, and that is totally fine. There are close to 2,000 new freshmen coming in and everyone is just as lost as everyone else (and if they seem like they have it together, they’re doing a fantastic job at hiding it). Do not be afraid to simply go up and introduce yourself to as many people as you can. Everyone is desperate to make new friends, but often people are too scared to take the first step and speak to anyone. Reach out, listen, and find out awesome things about your incredible new classmates. The first few weeks are some of the most fun on campus, so be bold. If you find yourself sitting in your room and have some spare time, walk around campus. You will find flyers for different clubs, groups, and organizations all over campus. Additionally, attend SAC far. This event is the main vein into joining any club on campus and there will be hundreds of people waiting for you to ask about their respective clubs. When deciding whether or not to join a club it’s always better to sign up for something and then leave it rather than regretting you never signed up in the first place. Find people you like, follow your passions, and you’ll love your Georgetown experience. Your Georgetown email, MyAccess, and Blackboard will be some of your most useful tools over the next four years. Almost everything that you need to know will be in either emails sent to you or posted on Blackboard/MyAccess. Take the time to read those emails and familiarize yourself with the other two services—they will all be an integral part of your academic life. Living with someone who you barely know is incredibly intimidating and is not something to be taken lightly, especially if this is the first time you have ever had a roommate in your life. Issues arise and the best way to deal with these is to be upfront and honest with them. Passive aggressiveness and petty power games do not solve anything. You two will be spending a lot of time together during the year, and, given the chance, they may just become one of your best friends on the Hilltop. Those jokes about the freshman 15 you’ve been hearing from everyone…they are based wholly in truth. Regardless of whether you were an elite athlete in high school or never had a thing for sports, a proper diet and fitness regimen goes hand in hand with performance in academics. With all the freedom of college, it’s too easy to opt for eating bad food and gouging on weak nutrition. Therefore, it is essential that you regulate yourself in what you’re eating and how often you are exercising. Leo’s has great healthy options, which actually taste (relatively) good and every single person on campus pays for a gym membership to Yates, so you might as well use it. Additionally, there are many yoga and alternative fitness studios throughout Georgetown, or you could simply go for a run along the waterfront and then back via the Exorcist stairs. There is a very classic freshman facade that a lot of new students across any campus don during the first few weeks of college. I cannot stress enough how much this hurts you in the long run. Chances are that if you have to pretend to be someone you’re not in order to get into some club or group, you won’t enjoy it. It sounds cliché, but be yourself. If you ever feel like you’re a little lost or just not feeling 100% comfortable with everything going on, reach out to someone. Your RA is a great resource and is there to make your transition to Georgetown painless. Additionally, there are other more confidential and specialized school services at your disposal. Everyone here wants to see you succeed and has provided you with as many opportunities as possible, but it is your responsibility to take advantage of them. Split an Uber with your friends or hop on the bus and head into DC. It’s incredibly easy to get trapped in the “Georgetown Bubble” and forget the awesome city that we live in. Look into cool food stands or restaurants and take advantage of the free museums around the city. The majority of students and alumni would agree that some of the most important lessons that you learn during your four years in college occur outside of the classroom. Keep an open mind and use the experience to grow as an individual. It’s simply put but gets right to the heart of a topic I’m sure is on many of your minds. Having finally arrived and settled into this new college experience here on the Hilltop, a series of questions will undoubtedly come up that might seem dumb to you now but, I promise, most students share in thinking about: What does “success” look like here? How can I get that 4.0 GPA? Attending every lecture, doing all the reading? Can I really do this? At the end of the day, how do I get the most out of these four years? No, there really isn’t a silver bullet for success here, and no, there isn’t a secret golden ratio of “studying to socializing” that will guarantee your acing both Intro to International Relations and enjoying your time outside the classroom in your first semester. Reading, believe it or not, is about more than just eyeing all the words in a book or on your laptop. It’s even more than the accumulation of vast amounts of knowledge and facts. Really, it’s gaining a new perspective and engaging that new perspective critically. I care a lot less about what my students remember from a specific passage of Kenneth Waltz’s books on international relations theory than I care about whether they grasp the major tenants of his arguments, examine where those thoughts fit into the larger picture of international relations, and articulate to me what they think about it all. Reading is a critical aspect of doing well in college and beyond it. Don’t simply memorize – think of reading as an activity, requiring your active participation in engaging the author and the ideas in front of you. Outline its tenants and assumptions, its evidence and implications. Write questions for yourself, your peers, and your professors. Whether you like it, love it, or can’t stand it, reading is a major component of your college experience. Embrace it, and you’ll be a better student, thinker, and person. It will inevitably happen—the dreaded curse of procrastinating on a paper or writing assignment. You’ll run to Lau at 10pm the night before the due date, order an “Awakening” from Midnight Mug, and prep for a night of sleep-deprived writing. For our sake, and yours, try to avoid, or at least minimize, that style of writing. Same day drafts often have more typos, unclear arguments, and missing substantive elements than a college student should be producing. When I write, I always give myself enough time to think about the subject and formulate a plan of attack. I go for a run, chew on the plan some more, outline, and draft. Here, though, is an important part: after you finish a draft, walk away. Relax, have a meal, sleep on it, if you have the time. And then return to reread, revise, and edit the draft from what will be an entirely new, refreshed, and engaged perspective. Trust me, the paper will be better and you’ll appreciate it after you get your grade back. All professors have office hours, a chance that, I promise, most of us actually enjoy and wish students took advantage of more often. But, alas, most students fail to come in, or if they do, only do so for limited, often grade-related reasons. Believe it or not, professors are here to help you grow as a student and as a person. We want you to succeed, we want you to learn and mature intellectually, and we want you to ask us questions. So come in when something isn’t clear, or if you want to chat about a part of the course in greater detail, or about your career and life goals. Bonus tip – professors love to talk about their research, so go after the opportunity to engage with a professor whose research you find interesting. It just might help build the kind of mentoring relationship that I still have with some of my professors and that I’ve developed with some of my students at Georgetown. What’s the question or the problem being posed here? Where did the question come from in the context of the scholarly literature or the wider world? Why should I care and what are the implications? This is a powerful outline that has always helped me to go deeper in examining arguments—and it’s what I expect from high-performing college students. Use it to your advantage! You are driven, intelligent, passionate, and ambitious – these traits have gotten you far and will help you succeed. But your education here at Georgetown is about more than just test scores, well-written papers and the amount of books you will have read at the end of it all. Taking the time to explore the amazing city in which you now live, to interact with your professors, and, yes, to engage your friends, will teach you as much, and likely more, than what you might learn from a professor like me in a lecture or seminar. This education is designed to change you as a person, to develop you as a thinker, and to shape you as an adult. Have fun along the way, and when the end of the year rolls around (and it will come faster than you can imagine), think back to the person you were back in August and see how much you’ve grown. Ultimately, that, and not your completed blue book exams or term papers, is what professors really want from you. 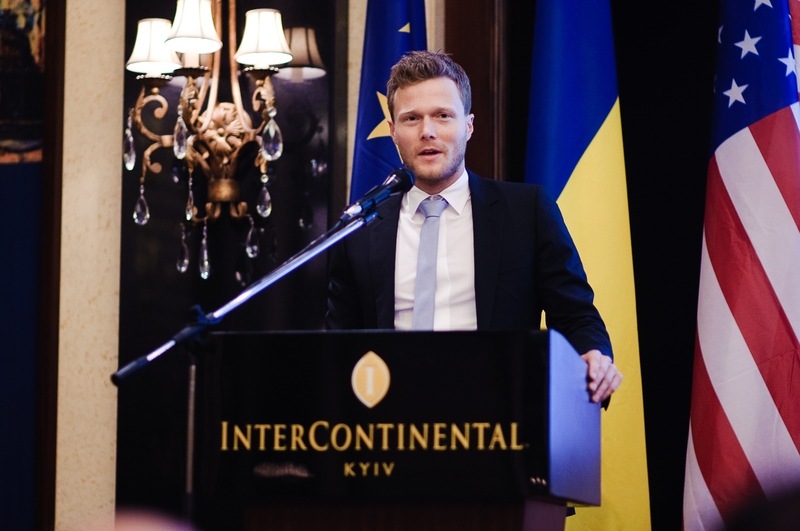 Matthew Kroenig is an Associate Professor and International Relations Field Chair in the Georgetown Department of Government at Georgetown University. He serves as a Faculty Fellow for Sigma Phi Epsilon. About SigEp: SigEp at Georgetown is a social fraternity committed to the principles of virtue, diligence, and brotherly love. We take the best the Greek tradition has to offer — a sense of community through brotherhood; vibrant social life; and a wide range of career and networking opportunities — and exclude nonconstructive elements like pledging and hazing, which aren’t in line with the values here at Georgetown. “This fraternity will be different” is our founding creed. We invite you to take a look around this site and to check out our Facebook page to get a better sense of who we are and what we do. If you’re considering rushing SigEp, sign up for email alerts about upcoming events, and take a look at our recruitment page,which features a tentative calendar of events. You can learn more about us here. During the lunch (12-12:30PM) and dinner rush (6-6:30PM), O’Donovan’s on the Waterfront can be a madhouse. Escape the long lines by going during non-peak times – but avoid the off-hours! Leo’s doesn’t serve hot food between 10-11AM, 2:30-4:30PM, and 8-9PM. At these times, you will be faced with a meager arrangement of salad and cold cuts. Georgetown’s campus – although somewhat small – is blessed with beautiful views and a ton of great study spots. 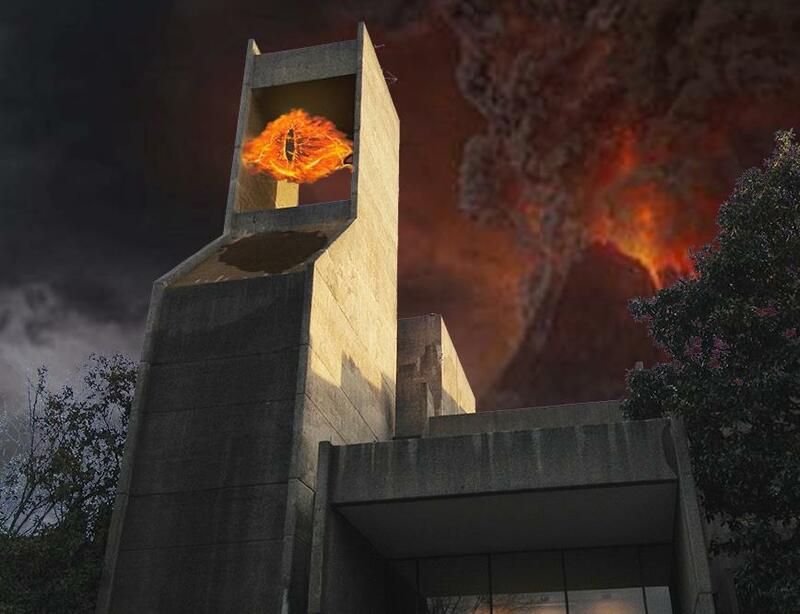 Despite this, student tend to cram themselves into the “dungeons” of Lauinger Library. If you find yourself losing your mind in Lau, check out spots like the secluded fifth floor of Regents Hall, the riverside terrace at the Healey Family Student Center, or one of the many quiet classrooms on the upper levels of Healy Hall. Don’t be afraid to explore campus to find your new favorite study spot. …doesn’t mean you have to apply to everything. When you set foot on campus, you will be immediately inundated with applications to Georgetown’s many extracurricular groups. Don’t let this stress you out. You will realize very quickly that many (but not all!) Georgetown extracurriculars are highly selective. As a result, many Hoyas take the shotgun approach and apply to everything. Research campus groups carefully, and be sure to commit to activities that you are passionate about. As a brother of Sigma Phi Epsilon, part of the Hilltop Microfinance Initiative and a member of Georgetown’s club soccer team, I think I’ve found the perfect balance by pursuing the activities that I love. It’s 2AM and you are starving. End your night with a gut-punch from Epicurean’s finest line cooks by ordering a hefty, greasy quesadilla from Georgetown’s very own 24-hour dining establishment (beneath Darnall Hall). If you want to wake up with marginally less regret, try my personal favorite sandwich – the Prospect Street. Prereg is hard, Classy is easy. Enough said. For some reason, cupcakes feature prominently in life at Georgetown. 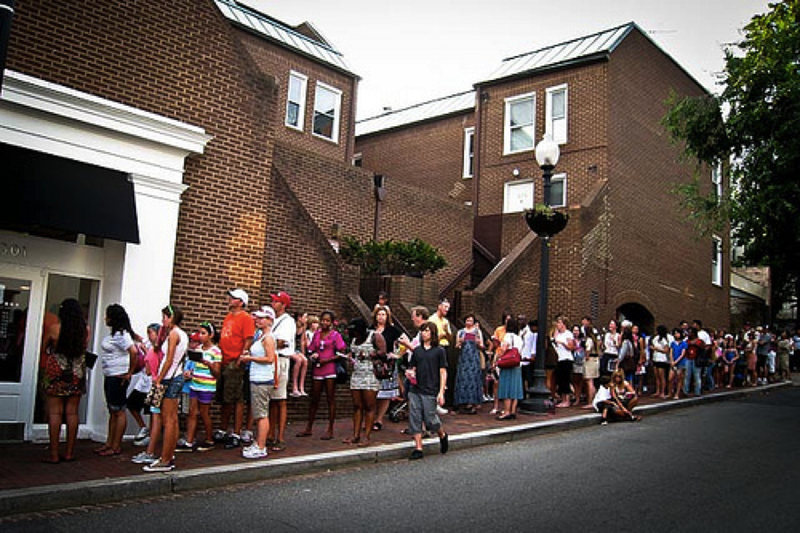 Most days, the line at Georgetown Cupcake stretches up 33rd Street for an entire block. You’ll soon get used to the sight of frosting-hungry tourists crowding the sidewalk. But, if you follow the advice of this post, you will never waste your time waiting in that line. That’s because Baked & Wired – the true cupcake king of Georgetown – is located just a few blocks away. Hiding in a small storefront near the canal, Baked & Wired is generally recognized by Hoyas as tastier, faster, and more fun than its overrated counterpart. Every semester, most students seem to end up with at least one or two textbooks that become heavy, expensive desk ornaments. Avoid buying textbooks you’ll never use by waiting to order books after the first few days of class. After syllabus week, it should be pretty clear which textbooks will actually be important, and which ones are “required”. This is advice that everyone receives, but that relatively few people actually take to heart. We are lucky to have world-renowned faculty members, and it would be a shame to let four years slip by without getting to know a few of them outside of class. Professors are incredible resources for both personal and professional development, and the same goes for deans. In DC, the world is at your fingertips. Unfortunately, Hoyas are notorious for being a somewhat insular group – our hilltop location and lack of a metro stop certainly don’t help. Some of the best aspects of a Georgetown education actually occur outside of Georgetown. Grab a GUTS bus or rent some wheels from Capital Bikeshare right outside the front gates – adventures in the city seldom disappoint. You have four fleeting years to see all the incredible things DC has to offer. Go out and make the most of them. 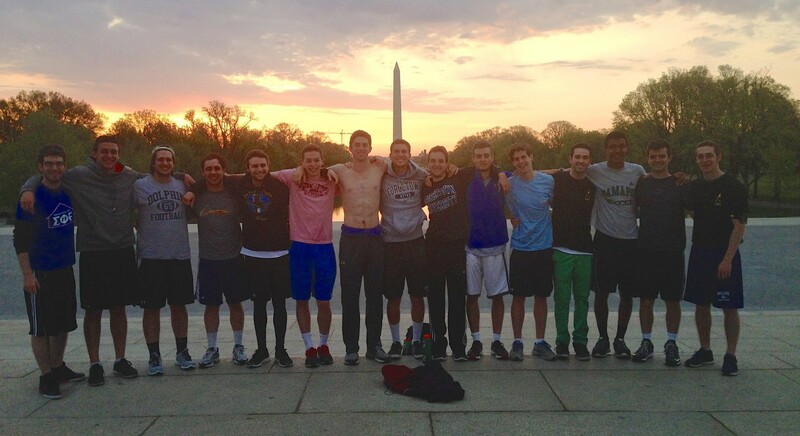 Georgetown SigEp breaking the bubble with a run to the monuments on Georgetown Day. Not all introductory courses are created equal. The difference between a good Problem of God professor and a bad one can change the trajectory of your academic career quickly. Word of mouth is one of the best ways to learn which classes and professors go the extra mile, and those that will serve mostly as a forum for a midday nap. This puts pre-freshmen at a disadvantage: it’s hard to hear about classes before coming to the Hilltop. To help you out, we asked the brothers of GU|SigEp for their suggestions on which courses and professors would give incoming freshmen the best academic experience Georgetown can offer. Some of the best recommendations are below. Principles of Microeconomics (ECON 001) is a class that is a requirement-filling course for a lot of students at Georgetown, crossing school lines from the MSB, to the SFS, and even to the College. I would strongly recommend taking Microeconomics first semester with Professor Arik Levinson, not only because he is a fantastic teacher, but also because he is a great guy to get to know on a personal level. Despite being in a large lecture hall, Levinson combines a clear and engaging lecture-style with humor to capture the attention of every single student in class. Moreover, his grading system is set up to help students do well, so it’s very manageable to succeed in his class, as long as you attend and pay attention. Finally, being in a large lecture hall, you’re guaranteed to have at least a few friends in class, which makes the experience all the more enjoyable, and affords you some study partners. Put simply, don’t make the mistake of missing out on one of the best professors at Georgetown. 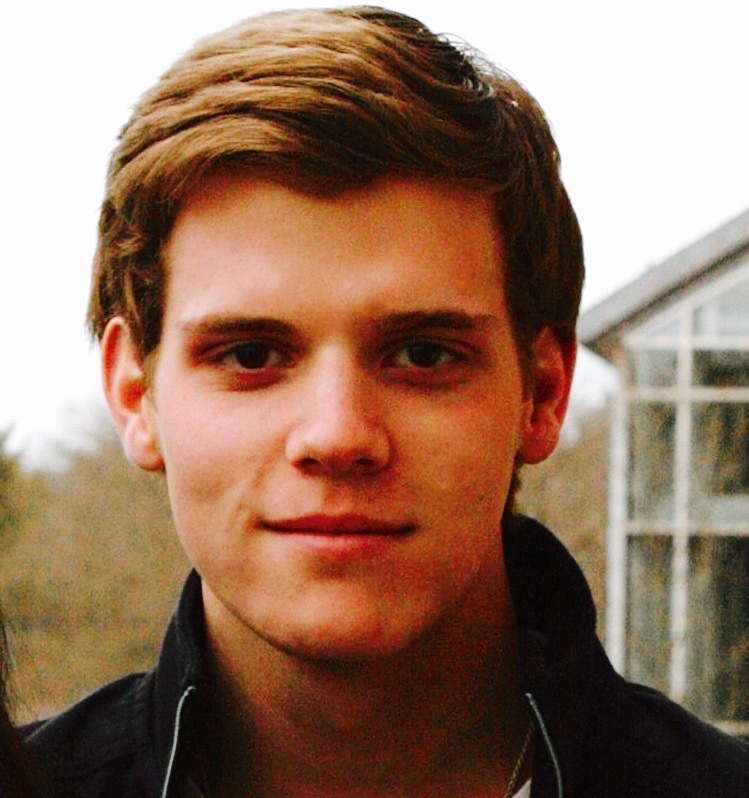 Eric Menna is a rising sophomore in the School of Foreign Service, hailing from Boston, Massachusetts. Along with his activities in GU|SigEp, he also is a member of the Hilltop Microfinance Initiative, and works at the Mortara Center for International Studies on campus. Intro to Ethics with Professor Terry Pinkard is a must-take class for any freshman Hoya. I came into Georgetown completely unfamiliar with the subject of philosophy and, frankly, not excited to confront Georgetown’s requirement of two philosophy classes. Now as a rising junior, I will be pursuing a philosophy minor, and Professor Pinkard was definitely my source of inspiration. You may at times feel uninspired by some of Georgetown’s Gen Ed classes, which you may feel relate in no way to your field of study. Professor Pinkard’s course ensured that I felt no such apathy about philosophy. Because of Professor Pinkard, I now find a topic that I once thought was mundane to be a rich and colorful discipline that teaches me the many different ways one can look at and understand the world. I encourage you to take this course and truly experience this incredible professor yourself. 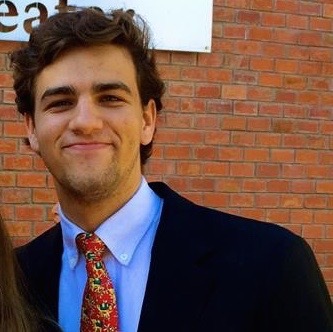 AJ Serlemitsos is a rising junior in Georgetown’s College, pursuing a major in Political Economics and minors in Philosophy and Arabic. In addition to be a brother of GU|SigEp, AJ works for the Corp at ’Uncommon Grounds’ and gives tours as a Blue & Gray tour guide. Professor Oded Meyer’s course on Probability and Statistics (MATH-040) answers the question with which so many students struggle: Why am I learning this? Professor Meyer teaches his students statistical reasoning, in order to analyze real data and evaluate actual studies. In this class, I learned to look for biases in the wording of questions that might corrupt a census or survey, and to interpret conditional density curves to determine what the temperature may be in one city, given the current temperature in another. Despite the large size of this lecture, Professor Meyer surrounds himself with a team of knowledgeable and resourceful TA’s who will be there to give you help along the way. As one final bonus, this course is a very manageable way to knock out half of your Math/Science Core requirement. 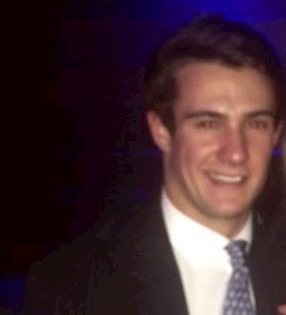 Jack Maher is a rising junior in the College, double majoring in the Classics and in Economics and has served on the Recruitment Board of GU|SigEp for two semesters. 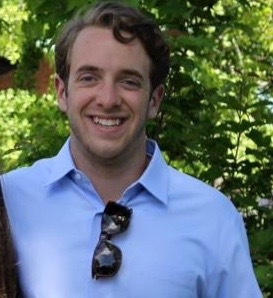 Aside from his work in the fraternity, Jack is a member of the Student Advocacy Office, plays for the Men’s Club Soccer team, and serves as a tutor for Georgetown’s Academic Resource Center. The Problem of God with Rev. Hentz, S.J., or “Otto” for short, was by far the most thought-provoking class I took my freshmen year, and I strongly recommend taking it to fulfill your Theology requirement. Otto is one of the wisest men I have ever met. His lectures concerning the possible existence of a God transcend the topics of existentialism and ontological reasoning and often contain simple yet powerful tips on how to live a fulfilling life of purpose and value. The class is also structured to be extremely personal and easy to keep up with. Otto deviates from traditional lecture-style of teaching and insists on student participation in each class. The difficulty of Otto’s class is not in lengthy essays (in fact he will rarely ever let you write anything over 5 lines) or extensive tedious readings, but in how you will be expected to reevaluate the meaning of your own existence. In addition, Rev. Hentz makes a conscious effort to develop a personal relationship with his students. When asking Otto a question after class about the course material, don’t be surprised if his response to your question ends with “let’s grab lunch this week”. By the end of my freshmen year I must’ve had over ten meals with the man. Don’t miss this phenomenal opportunity to expand your mind. Adam Daly is a rising sophomore in the College from Virginia. He is double majoring in the Government and in Theology. Besides his involvement with GU|SigEp, Adam is a member of the Student Advocacy Office, plays for the Men’s Club Lacrosse team, and works for The Corp at MUG. I remember my move-in day at Georgetown all too well—it was a steamy 95-degree afternoon when I first arrived on the Hilltop, eager to begin my life as a Hoya. My CHARMS-chosen roommate Jake met me in my VCW room, and I noticed he had already taken the bed I wanted. Joy, what a start. The next few months were a Blue & Gray blur, filled with late night Eat & Joy, VCW-style living, trips to places all over DC, and, thankfully, no nights in Lau the entire semester. I swear, I did study—just not in the soul-eating dungeon we call Lau (see Tip #4 below for some other ideas). And soon enough I found myself back in northern New Jersey. Reunited with my friends from back home, I was surprised to find that many of them weren’t really enjoying school. I had probably a dozen friends ready to transfer, and many more disgruntled with their first semester but willing to give it a second go. And this made me realize something very important: I’m blessed. Georgetown is an incredible place. It’s got great academics, great tradition, and, most importantly, great people. For me, it’s so much more than a school—it’s home. I no longer call New Jersey home (which my parents HATE)—my home is on the Hilltop. Leo’s is my kitchen; VCW my bedroom (well, not anymore…); Healy Lawn my front yard; Yates my personal gym; Washington my playground. 1. Avoid Leo’s during its off hours. Those are the times between breakfast and lunch, lunch and dinner, & dinner and late night service. Don’t go between 10 AM-11 AM, 3 PM-4:30 PM, or 8 PM-9 PM unless you are desperately in need of fuel and nearing starvation. All that’s there during off hours is salad and sandwiches. It’s a disappointment. Make sure you eat. My first week at Georgetown I lost seven pounds. Now most people would probably see that as a blessing, but I didn’t have the weight to lose. And, that being said, exercise. Once you make sure you’re eating, you eat A LOT. The late night food and beverages add up quickly. The freshman 15 (or 35) is real—and some of my friends back home looked like they took up sumo wrestling as a hobby in the matter of a semester. You hate to see it. So at least play intramural sports—which leads us to another tip. 3. 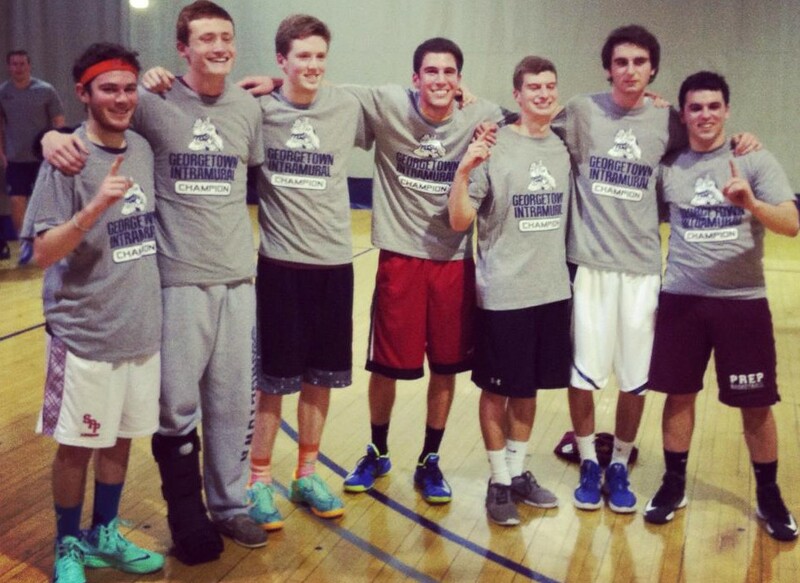 Don’t miss intramural sports sign up deadlines. You should get emails about them, but they’re easy to miss. The first sport is flag football—sign up with a team by September 10 (A full list of deadlines and more IM Sports info is here). I won two championships as a freshman and would love a new challenge from some incoming students. Oh, and winners get a free t-shirt. I’m in the minority when it comes to avoiding Lau completely, but even those who do choose to study there should treat themselves to a change of scenery every now and then. Try Regents, MSB, or, if it’s nice out, the Leavey Center roof—they are really great spots to chill and get some work done. One of my best friends and my OA told me this on my first day at Georgetown, and he couldn’t have been more right. Join clubs you are passionate about, but not so many that you can’t focus on what you love. 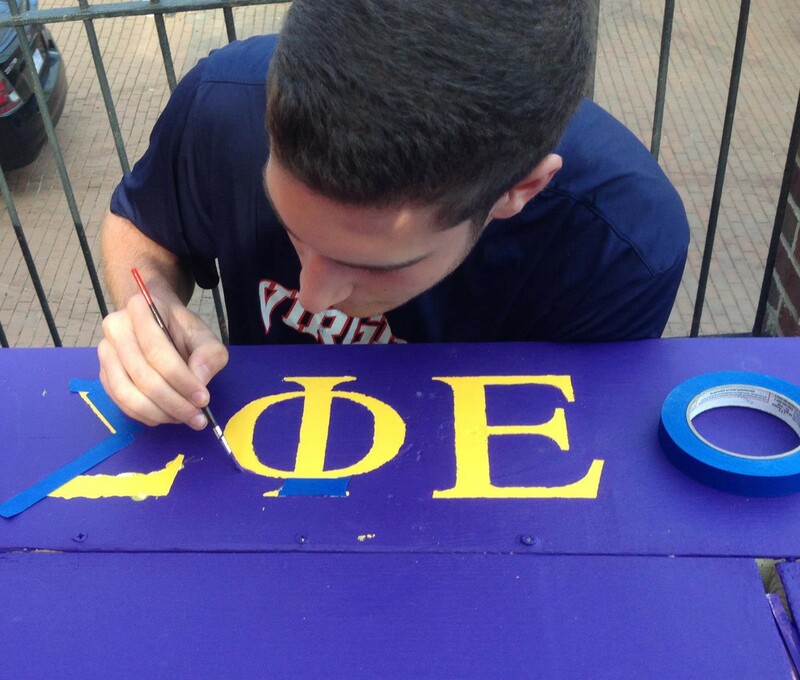 I’m a member of Sigma Phi Epsilon, the Blue and Gray Tour Guide Society, and Club Soccer—and it’s a perfect balance. I urge you to find things in which you can invest yourself. For me, it was these groups, as well as Relay for Life—I spearheaded the SigEp charge into this event last spring. Check out Georgetown’s Relay website and Facebook page for more info. The SigEp team absolutely killed it last semester, raising over $20,000, the most of any student group on campus. At the end of the day, my first year at Georgetown was defined by the people I met and the experiences we shared. Bingo Players at Echostage, Hoya basketball games, cab rides into Virginia for Chick-Fil-A, late night FIFA with my brothers. This is why I can’t wait to get back to Georgetown. The freedom of college, paired with the people you meet at Georgetown, makes for a really incredible freshman year. New Hoyas, you’re only a few days away. Get pumped. Get ready to experience the Hilltop.